Charlotte, I love that photo! Reminds me of the verse "He shall cover you with His feathers, and under His wings shall you abide" and also "Because Thou hast been my help, therefore in the shadow of Thy wings will I rejoice". Thank you for sharing this, dear Charlotte. Have a blessed weekend! I love love love this picture. Thanks for sharing it. Thank you, Charlotte for hosting Spiritual Sundays.It is such a good place to come each week. Thank you also, for the comments you make on my blog. Happy Sunday and Happy Holidays to all. You all are a bright spot in my life, and my heart is filled when I see all who gather here. What a lovely photo! I'm pinning that to remind me of so many of my favorite comforting Bible verses, like "For You have been my help, And in the shadow of Your wings I sing for joy." Ps. 63:7 - Thank you for another sweet Sunday, full of sweet words of encouragement! I always enjoy visiting here for I find treasures to keep by other's posting.God bless and keep you. Hi Charlotte! The linky says I already added my post but I have not! So I hope everyone will visit me anyway! My Love is...so much more post is up and ready finally! I always enjoy stopping by here! You do an amazing job on Spiritual Sunday! Thank you always for all your hard work! Hugs and many blessings to you! I finally got it! It came up at last! Blogger has been giving me a fit all day today! Hurray! I L O V E Spiritual Sunday! What a great photo! Thanks for sharing it and for hosting Spiritual Sunday! I wanted to tell you Charlotte, that photo you selected today is AWESOME! 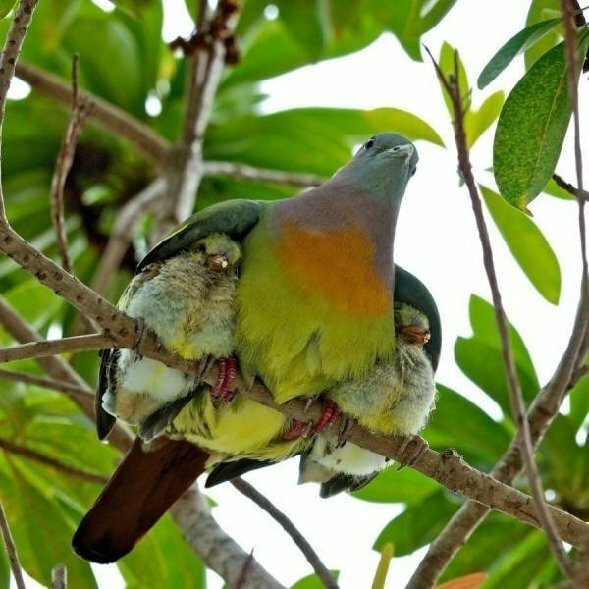 It is amazing to know He carries us under His wings! Dear Charlotte, The photo is such a touching and awesome illustration of how He protects and nurtures us. It reminds me of a sermon illustration about a forest fire that devastated all the trees, plants and animals except for a brood of quail chicks. They survived because their mother protected them under her wings to the very end, choosing to die herself to give them life rather than to fly to safety.